The purpose of the Library Patron Code of Conduct is to create a safe and respectful environment for all library patrons. The Library Patron Code of Conduct ensures access to the library facilities, safety for patrons and staff and protects the library facilities, equipment and collection. Beverages/Food must contain a lid on them and may not be used near public computers, microfilm, or other library technology and equipment. Please keep conversations to a respectable volume as to not interfere with other patron’s use of the library. Patrons should not engage in any kind of conduct that may disrupt the use of the library for other patrons. Disruptive conduct includes, but is not limited to: abusive, derogatory, inflammatory, or profane language directed at library patrons or staff; the use of personal audiovisual recording devices without the express permission of library patrons and staff; and any other conduct that is not conducive to the reasonable use of the library as a place of reading, study and the quiet contemplation of ideas. Patrons must use headphones while listening to any audible material on computers or any personal audio devices. Sound must be kept at a respectable volume as to not interfere with other patrons use of the library. Children under the age of thirteen may not be left unattended in the library. 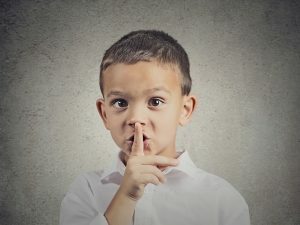 Children under the age of thirteen that are left unattended at the library will be asked to call a parent or guardian. Staff will allow the child to use the library telephone to make arrangements so that they can be safely escorted back to the care of a parent/caregiver. If a parent/caregiver cannot be located, library staff will call local police to help the child be placed in safe care. Refrain from viewing pornographic visual materials or content that by contemporary community standards would be considered obscene. Observe computer time limits established in the library computer policy. Cell phone use is allowed only in designated areas (study rooms). 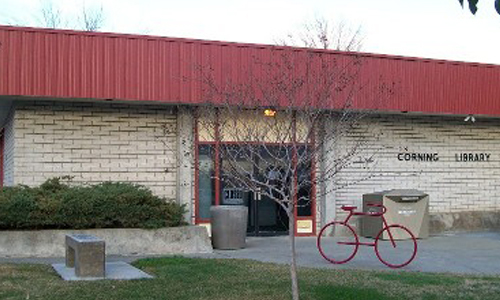 Damage or theft of library property could result in a suspension of services. No misuse of restrooms. Misuse includes, but is not limited to: bathing, consuming alcohol or drugs, and other conduct not compliant with generally accepted hygiene, public health, or community standards. No animals, except for those required for assistance with a disability as defined in the Americans with Disabilities Act (ADA) at 28 C.F.R. 36.104. Organizations with animals who are partnering with the Tehama County Library on library programs are allowed to bring animals into the building. Any waste left behind by these animals is the responsibility of the owner/organization. Do not interfere with another person’s use of the library or with library personnel’s work performance. Disregard of the Patron Code of Conduct could result in the suspension of library privileges. Second Offense: If the patron continues to disregard verbal warnings from a library staff member, the patron may be required to leave the building. Library staff will use their own discretion on a situational basis. 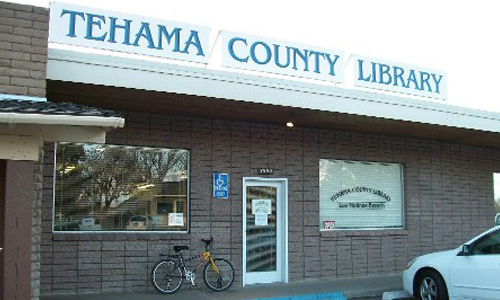 Library staff will then complete an incident report which will then be submitted to the Tehama County Librarian. 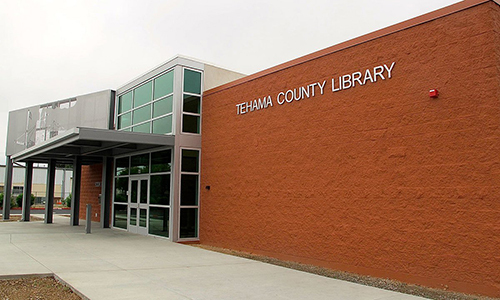 Third Offense: If further disruptive behavior with a patron occurs, the Tehama County Librarian may issue a suspension from the library for up to 6 months. A written notice of the suspension, which will include the reason for and length of the suspension, will be provided to the patron. After the patron receives the written notice of suspension the patron may appeal. This process will involve a meeting between a library staff member and a representative from Tehama County Administration / Risk Management.